Capture fun memories of your big day with this photo booth kit. 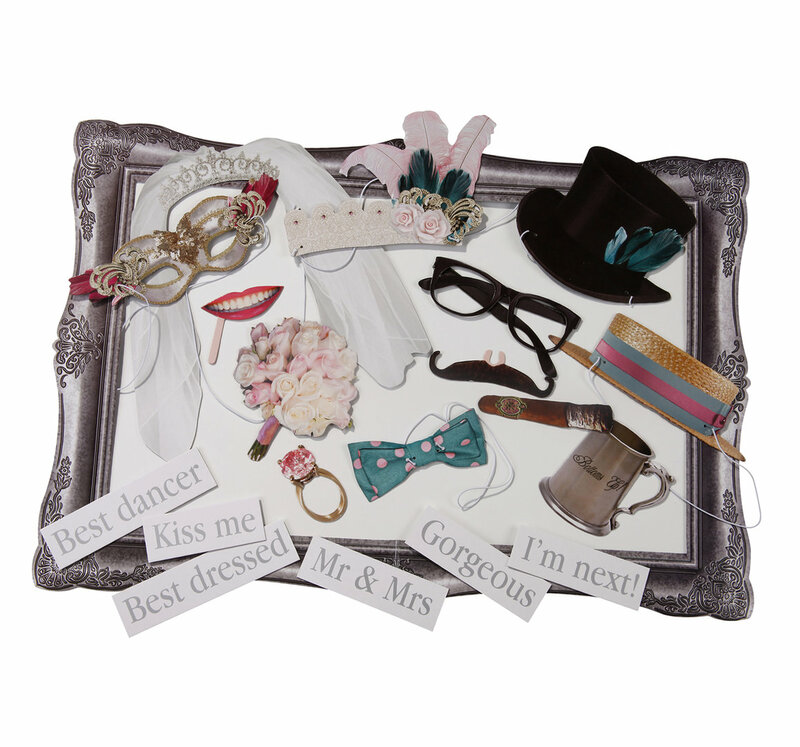 Your guests can get dressed up using the props and then get snapped in the frame! 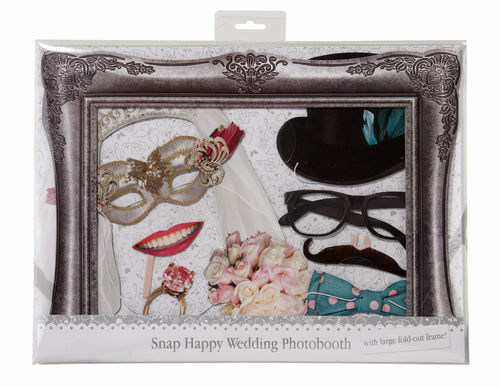 Each set contains 20 wedding themed disguises and props with a large fold-out card frame. 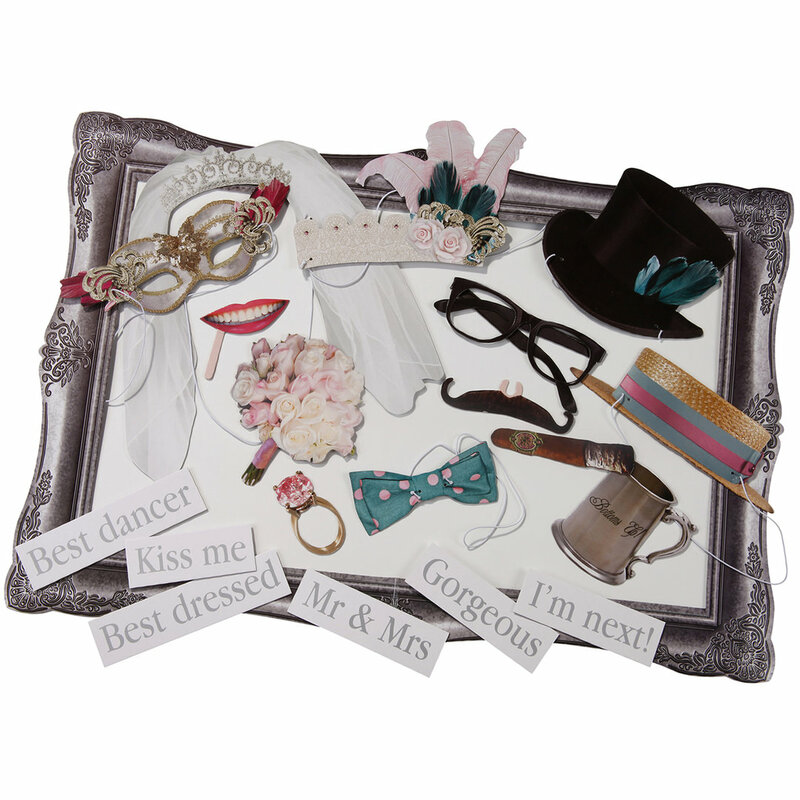 All props are made from stiff card, some have elastic attached to hold them in to position.